Ferrari Formula 1 boss Marco Mattiacci says Kimi Raikkonen is under “positive pressure” to raise his game, after another disappointing race in the US Grand Prix. 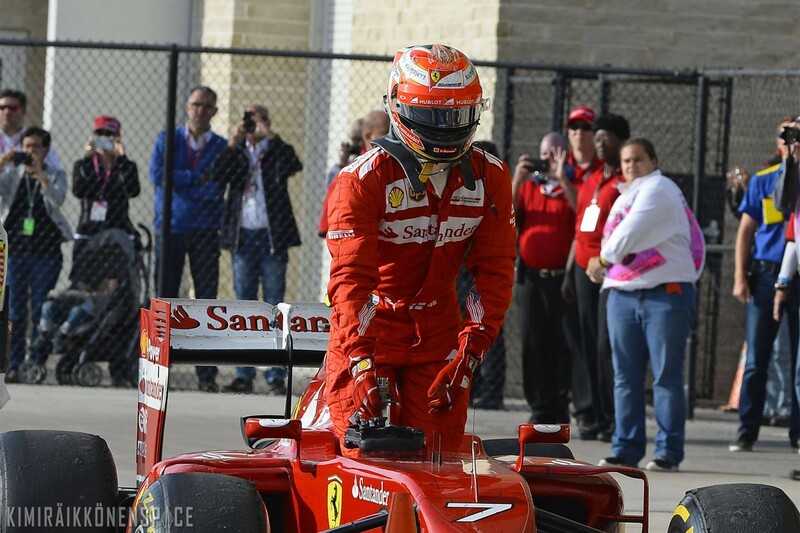 The 2007 F1 world champion finished a lapped 13th in Sunday’s Austin race, while team-mate Fernando Alonso again scored points for the Scuderia by completing the top six. Raikkonen now lies more than 100 points adrift of Alonso in the drivers’ championship, but Ferrari team principal Mattiacci played down the ramifications of another lacklustre race for the Finn. When asked whether pressure is growing on Raikkonen to justify his place in the team, Mattiacci said: “Positive pressure. It’s important for pressure to always be positive pressure. “At the moment we need to avoid overreacting. “We know there is an issue with him and the feeling of the car – too much understeering at the front of the car, and we know this has been an ongoing issue during the season. We have been hearing Kimi facing issue with his Ferrari since 1st race. 2 more races left. Situation didnt changes. Will this situation remain the same next year? Will Kimi still driving in F1 next year? Race after race, i hv been hoping for miracle…but nothing special at the end of each race. Same story. Only Kimi´s hope, that some day everything should change for the better way, keep me in front of screen in race week-ends; despite of frustration and bad-bad feelings about the Kimi´s car….Kimi will driving next year…….definitely….. and he will drive much better, I´m sure. James Allen, You know, what You have to do!!!! It’s James Allison and not Allen. Sorry – of course Allison, I don´t know, what I was thinking.